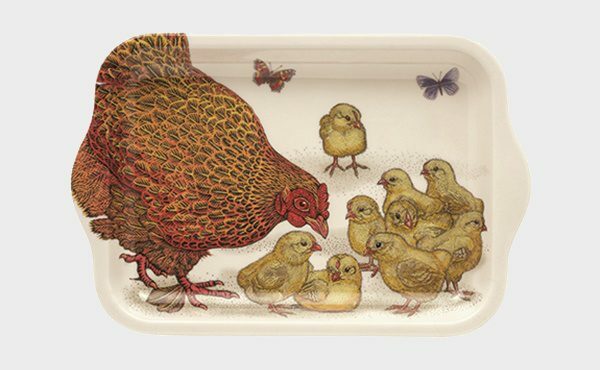 This year Tinco is launching Vanessa Lubach’s artistic chicken range. Lubach is a printmaker, she studied illustration in Brighton UK and graduated in 1990. Predominantly, she finely carves illustrations into linoleum, rolls ink over the linoleum and then presses on a piece of paper. Those detailed illustrations have then been produced into beautiful tins and melamine products. The Tinco range includes cake tins, biscuit tins, tin canisters, melamine tea bag holders and melamine trays. The melamine products are kid friendly, durable and difficult to scratch or break. Although they are not intended for the microwave or oven, you can still put your hot cuppa and a biscuit (or two) on the tray for afternoon tea. The tin products are food grade for storage, thanks to a protective lacquer over all the tin. You can use them to store cakes, biscuits, slices, tea and coffee, fill them or give them empty for a gift as they are just gorgeous. See the latest ranges from Tinco, Stand 2H12, at AGHA Sydney Gift Fair, 23-26 February 2019.